LATimes.com: A gang member killed a cop nine days after he got out of jail. Are California’s justice reforms to blame? “The criminal himself said, ‘I did it because of AB 109,’ ” said Michele Hanisee, president of the union that represents L.A. County prosecutors. 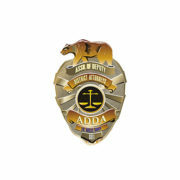 https://www.laadda.com/wp-content/uploads/2018/02/adda-blank.jpg 339 720 Association of Deputy District Attorneys https://www.laadda.com/wp-content/uploads/2017/07/la-adda-logo-400.png Association of Deputy District Attorneys2018-05-10 05:49:362018-05-23 05:49:57LATimes.com: A gang member killed a cop nine days after he got out of jail. Are California's justice reforms to blame?